Valve is a powerhouse as a company and as a game developer with their desktop program Steam and their wide variety of games from Half-Life to D.O.T.A 2. 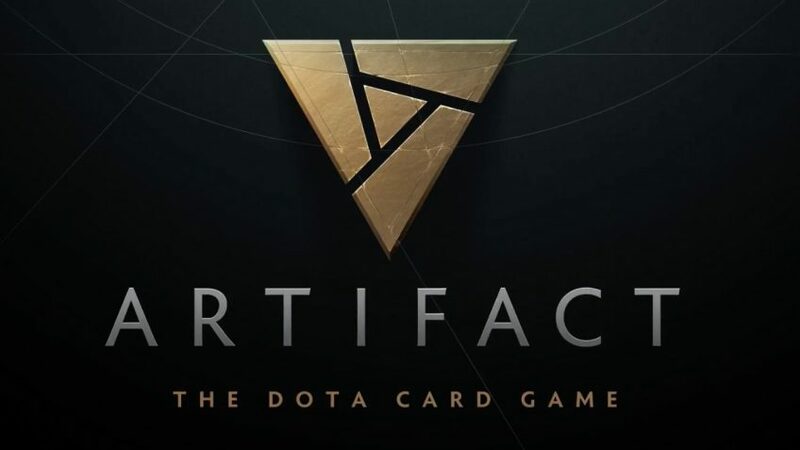 Artifact is the newest game by Valve and it is a digital card game based on the lore of D.O.T.A 2. 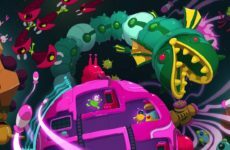 The game has been announced and hyped for over a year with a closed beta which was under strict non-disclosure by its participants. Streamers have been talking about it under wraps but its finally released and here for the public. 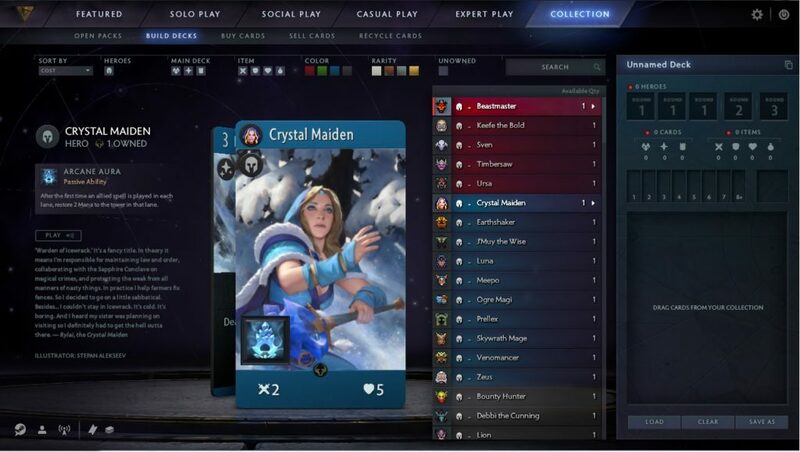 Unlike most digital card games like Gwent, Hearthstone and Artifact which are free-to-play (with in-game purchases), Artifact is one of the first digital card games that has to be bought to be played. The game comes with 2 starter decks and 10 card packs to get you started with. The game has a normal queue with no rewards where you can play with your deck or practice draft and it is free to play with your cards. The other game mode is the Expert Mode where you play for rewards (card packs and tickets) but costs tickets to join. Tickets and card packs can, of course, be bought via the in-game store. The game on the offset is beautiful visually, beginning with the game menu as well as each tab of the game menu. The game board is alive with two little imps on each side, one for you and one for your opponent, mischievously taunting and flying around while you play the game. The cards have attractive artwork too, with each being recognizable D.OT.A characters or spells. 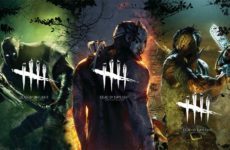 There are some new unseen characters and creeps that are not in the main game but are a welcome addition. The audio is pleasing to the ear with music readying the player for battle, while heroes on the game board banter with each other when new cards are being played. Every character’s cards have their own voice lines and each spell casted will be announced by the heroes. Each time you open a card pack, the first card you reveal will contain the lore which will be voiced out, and in addition to that, each card has their own lore that you can read in your collection. The voice acting of each line is top notch and you can tell the relationship between the cards as though they have their own life. The game-play is very similar to its main game, D.O.T.A in which you have three lanes on the game board and you will need to deploy heroes into a lane of your choosing, play creeps or attachments and cast spells. Three heroes will be deployed into each lane on the first turn, then the player can choose to deploy the fourth hero into a lane of their choice in the second turn and then the final hero in the third turn. When a hero dies, he/she goes to the fountain and has to wait a turn before they can be redeployed into a lane. Each player takes turns to play cards from their hand until both players pass without playing any, then the heroes and creeps on the board will clash with each other in battle. The game is won when you have taken two out of the three enemy towers or ancients which appear when a tower is taken down. There are five types of cards: Heroes, Creeps, Spells, Improvements and Items. Heroes are the main characters of the game and each Hero comes with 3 of their signature spells. For instance, putting the Hero Legion Commander into your deck automatically includes the spell Duel in your deck. Whereas creeps are the monsters or characters you play from your hand to help you on the game board either to block any opposing heroes or creeps, or to just deal damage. Spells are cast to affect the lane while improvements are enchantments that can be cast into any lane and stays on the lane until removed. Items are further divided into four which are Attack, Armor, Health and Utility. They affect the heroes and each hero can only equip one of the types at one time; equipping another will replace the equipped items. The game for all its glory is not without a mountain of its own problems. One of it is the high entry fee and high skill level of entry. The game itself costs RM85 (USD19.99), each pack at RM8 (USD2) and five ticket costs RM20 (USD7.5), and you can only buy tickets in a bundle of five. There are no in-game quests or rewards like other digital card games thus the only way to win rewards is to play the Expert Mode and spend tickets. The complexity of the game with three lanes and five heroes is also a steep learning curve for players who are not used to card games. The upside is that there is a market where you can sell and buy individual cards which as of right now, the only expensive cards are Drow (approx. RM60) and Axe (approx. RM100). You can also turn 20 common cards into one ticket to recycle any duplicates if the price of the cards are too low in the market and not worth the sale. The other problem is the game-play which has a lot of random elements added to it, be it in the placing of the heroes on the board on the first turn, the attack arrows or even the cards themselves. This brings a bad feeling to players as the randomness can majorly affect the way you play the game and at times, lose you the game. Another aspect is that the complexity of the the lanes system in the game making you unsure of whether a decision affecting the lane was a good decision or a bad decision and whether you can change it by playing differently. 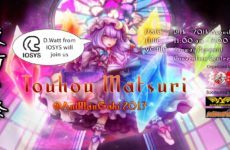 This game might interest new players for the hype, but not retain them, and only veteran card game players will stay for the game. 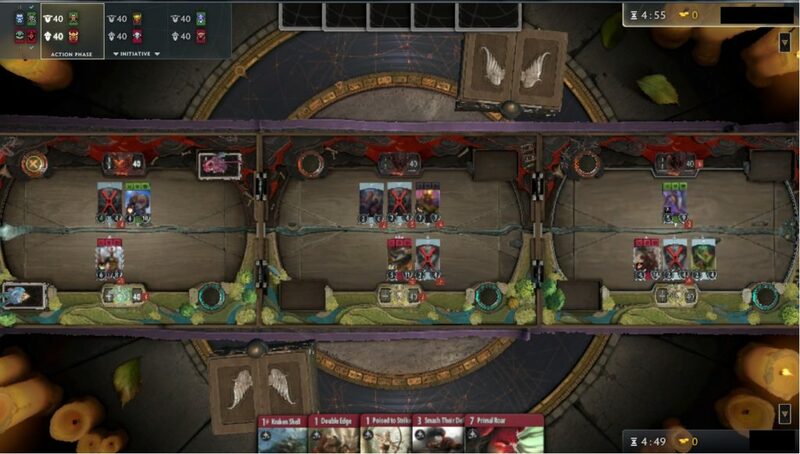 Overall, Artifact is a visually beautiful digital card game with great lore but the complexity and cost of the game might deter some players. If you love digital card games and don’t mind the cost of playing the game, get it. It’s a beautiful ride of learning the ins and outs of the game. Overall the game to me is a 6/10. Until next time, keep slinging those spells!